One of Uptown's best-kept secrets is the Garfield-Clarendon Model Railroad Club, a miniature world hidden in the Clarendon Park Fieldhouse. As its website says, "Most people won't get the opportunity to run a local freight, operate an important passenger train at full speed with farms whizzing by or get to perform switching at a busy rail yard. 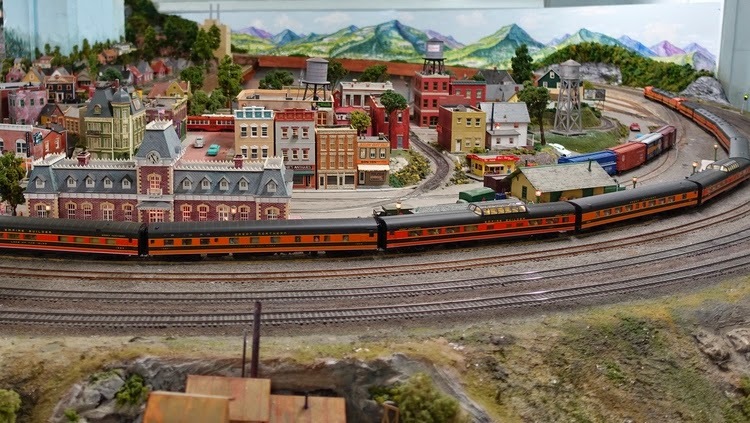 At the Garfield-Clarendon Model Railroad Club you can escape the world you know to a magical snapshot in time, hand-crafted, hand-operated and always different." If you'd like to see this world of wonder, you're in luck. The quarterly Open House is Sunday from 1pm- 4pm. The event is free and is great for the whole family. More information can be found on our at www.garfieldcentral.org. The fieldhouse is located at 4501 North Clarendon, at Sunnyside. There is free parking in the lot (enter east of Clarendon at Agatite).